Over 5.2 million arrivals were recorded in touristic structures in Romania in the first six months of 2018 – a 4.1 percent increase year-on-year. 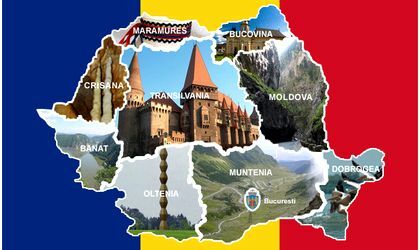 Of the total, 75.8 percent were Romanian tourists, according to the data published on Friday by the National Institute of Statistics (INS). Among foreign tourists, most arrivals were from Germany (144,700), Israel (120,200) and Italy (112,500). Overnight stays recorded in touristic structures in the same period totalled 10.3 million, a 2.5 percent increase y/y, with 76.8 percent Romanian tourists. The average length of a stay was two days for Romanian tourists and 1.9 days for foreign tourists. 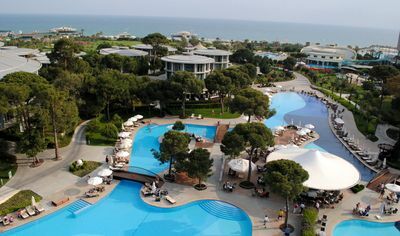 The net usage index for accommodation units in the first half of 2018 was 25.7 percent over the total number of touristic accommodation structures, a 0.4 percent increase y/y. Higher accommodation values were seen in hotels (32.7 percent), ship accommodation (24.5 percent), hostels (19.5 percent), tourist villas (19.2 percent) and guesthouses (18 percent). By county, the most tourist arrivals in touristic structures that offered accommodation were in Bucharest (991,400), Brasov (594,200), Cluj (289,800) and Constanta (289,100), while the number of overnight stays by tourists were the highest in Bucharest (1.6 million), Brasov (1,15 million), Constanta (874,700) and Cluj (526,200). The arrivals of foreign visitors to Romania recorded at border points totalled 5.1 million, a 7.1 percent increase compared to the same period of last year. Most foreign tourists came from European countries (92.5 percent), and 50.9 percent of them were from the EU. Among EU states, the most arrivals were registered in Bulgaria (28 percent), Hungary (27.3 percent) and Italy (8.1 percent). On the other hand, the departures of Romanians going abroad recorded at border points totalled 9.58 million, a 3.8 percent increase y/y. Road transport means were the most frequently used (67.7 percent of departures). In June 2018, compared to June 2017, the arrivals in touristic accommodation structures had a 0.1 increase, while overnight stays decreased by 1 percent. At border points, 3.1 percent more foreign visitors were registered, while 4.6 percent more Romanians passed by these points to go abroad.